 If you are a producer who has already created a shop profile you will have to set up a separate account on FreshSpoke to apply as a driver or your shop information may be erased. Sorry for the inconvenience. We are working to correct this issue. By filling out the driver application you will be erasing your shop profile. Please create a separate user account in order to apply as a driver. Your driver account is almost ready! 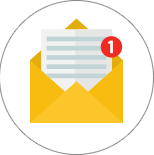 Follow the instructions from the message we just sent to your inbox to confirm your account and complete the driver application process. A real person will approve your driver application once complete and reach out to schedule a driver info session with one of our driver specialists. 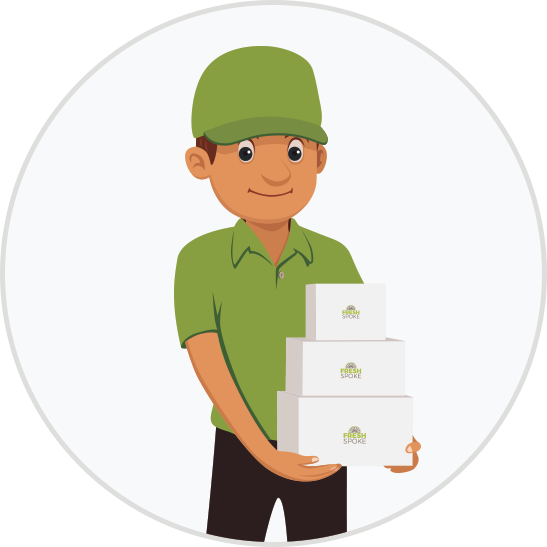 FreshSpoke’s mobile marketplace gives commercial food buyers a direct pipeline to the fresh local food from producers, delivered to their door. FreshSpoke is now accepting applications from producers with delivery capabilities, fleet and single operator delivery agents interested in joining our Road Crew. Friendly, reliable drivers are big part of why our customers love FreshSpoke so we’re looking for the best. Available Now! The easy to use FreshDispatch app. FreshSpoke is paperless! Every aspect of the delivery routine is handled on your smartphone or through the web based driver dashboard from dispatch and routing, to arrival and delivery notifications and order acceptance. Buyers orders are automatically compared with the driver profile in the FreshDispatch system and assigned to an optimized route. The order is prepared in advance of your estimated time of arrival. 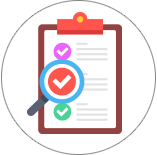 Access all tools you need to see an order through to successful completion. We do have some basic requirements that all road crew must have in order to deliver for FreshSpoke. Single or Fleet Operators already in professional delivery business will likely have what is needed. Potential FreshSpoke driver must attend and complete a FreshDispatch training session. Commercial General Liability: $1,000,000 per occurrence and $2,000,000 in the general aggregate. Commercial Automotive Liability: $2,000,000 . Cargo Insurance: $25,000 minimum per occurrence. Clean, road safe vehicles suitable to deliver at least one class of food. That includes enclosed refrigerated and non-refrigerated cargo vans and trucks minimum of 125 cubic feet of available cargo space. FreshDispatch™ uses geo positioning and communicates with all our road crew using a mobile app, available for Apple and Android smartphones. 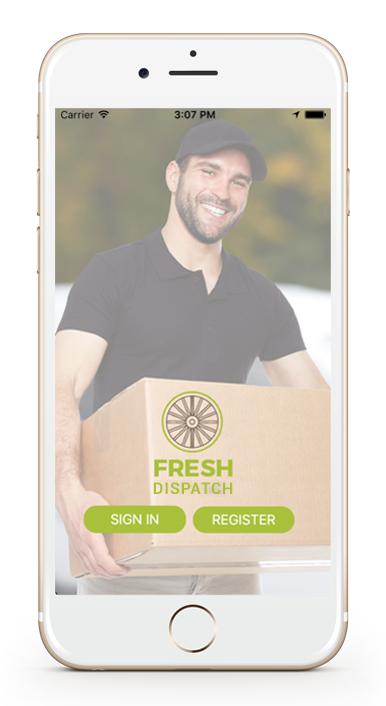 Drivers require the appropriate equipment to access the mobile app when they are available to deliver or delivering for FreshSpoke.